"We never broke up," Dressy Bessy singer/guitarist Tammy Ealom says on the occasion of the release of KINGSIZED, her band's first new album in seven years. "It was never our intention to drop out, it just sort of happened. We were dealing with life, but we never stopped making music." Indeed, the 13-song KINGSIZED makes it clear that, nearly 20 years into their career, Dressy Bessy are making some of their most compelling and accomplished music. Such melodically infectious, lyrically barbed new tunes as "Lady Liberty," "Make Mine Violet" and the anthemic title track are potent examples of the band's uncanny ability to wrap Ealom's personally-charged, pointedly subversive lyrics in sparkling, irresistibly catchy songcraft. In addition to showcasing the band's musical chemistry, KINGSIZED also draws upon the talents of a wide assortment of friends, admirers, and contemporaries. R.E.M's Peter Buck adds distinctive 12-string guitar on "Lady Liberty" and "Cup 'O Bang Bang," while legendary Pylon frontwoman Vanessa Briscoe-Hay adds her voice to "Get Along (Diamond Ring).” Minus 5/Young Fresh Fellows mastermind Scott McCaughey plays keyboards on "Make Mine Violet" and "57 Disco" and R.E.M's Mike Mills sings on the band's distinctive rendering of the George Harrison classic "What Is Life," which appears as the b-side of the 7" single release of "Lady Liberty." KINGSIZED, after the departure of original bass player Rob Greene, features an assortment of notable guest bassists as well, including Eric Allen of The Apples In Stereo, Jason Garner of the Polyphonic Spree and The Deathray Davies, Mike Giblin of Split Squad and fabled punk progenitor Andy Shernoff of The Dictators. KINGSIZED also marks a return to the band’s early recording approach. As Hill explains, "With our first two albums, we were a completely D.I.Y. operation, and we recorded everything at home. Then we did our next three albums in the studio. Three or four years ago, we revamped our home studio, so we could record complete works at home. Now we have the sound quality of a real studio without the time constraints. We have enough time for stuff to jell and enough time to work things out." While KINGSIZED features some of the most focused, organic music Dressy Bessy has ever made, the new album is consistent with the pursuit of joy and transcendence that's been the band's mission from its early days in its hometown of Denver. Although such seminal Dressy Bessy releases as Pink Hearts Yellow Moons, The California EP, SoundGoRound, Little Music: Singles 1997-2002, Dressy Bessy and Electrified earned the band an enthusiastic fan base with their effervescent, uplifting pop tunes, they also caused some observers to miss the tougher edge of Ealom's lyrics. 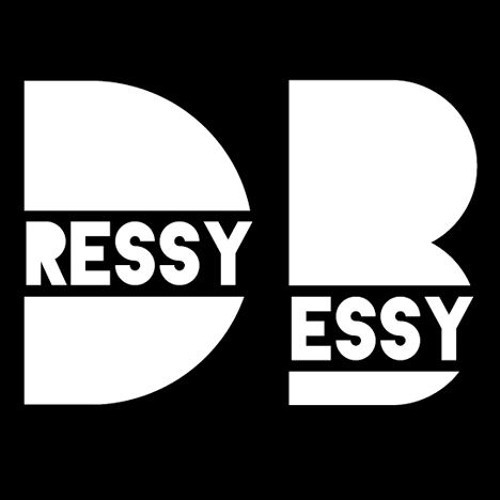 Now that they're back in action with some of their strongest music to date, Dressy Bessy is happy to be back at work. "I feel like we're just starting to get good at what we do," Ealom states. "We've had a lot of time to hone in our sound, knowing what we want to sound like and figuring out what we need to do to get that. I'm really excited about the future." "We actually kind of know what we're doing now," adds Hill with a chuckle. "We used to always be flying by the seat of our pants, but we're better players, Tammy is a better singer, and we're a better band. I think we've recorded the best album that we ever have, so our plan now is to just get out there and rock, then keep on rocking. We need our fans and we feel like they need us too."